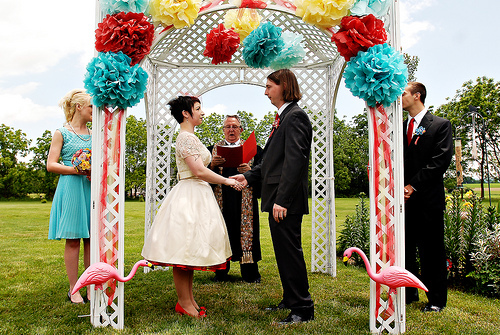 Simply put, creative and colorful ceremony spaces rock my world. 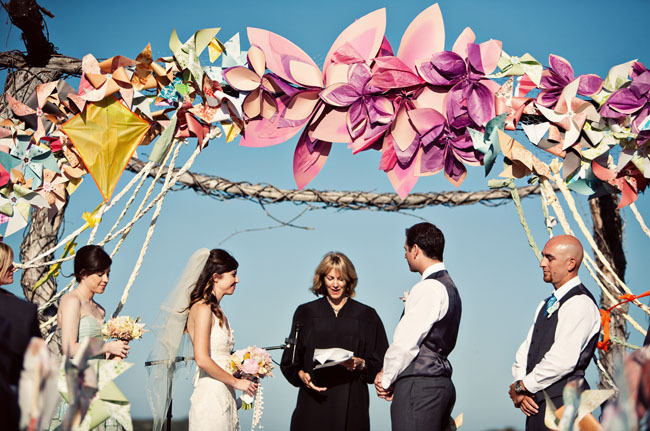 Some of you may have seen this arch made by the bride using paper flowers and pinwheels. I would have loved to be there to see this. 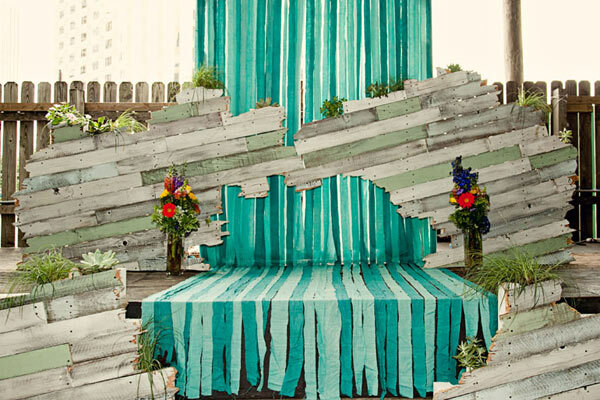 This bride’s brother made an entire wedding stage from upcycled fence boards for her wedding. Don’t you just want to dive into that photo and prance across the stage? I certainly do! But don’t get me wrong, there are some very pretty altar spaces that take a more minimalistic approach. 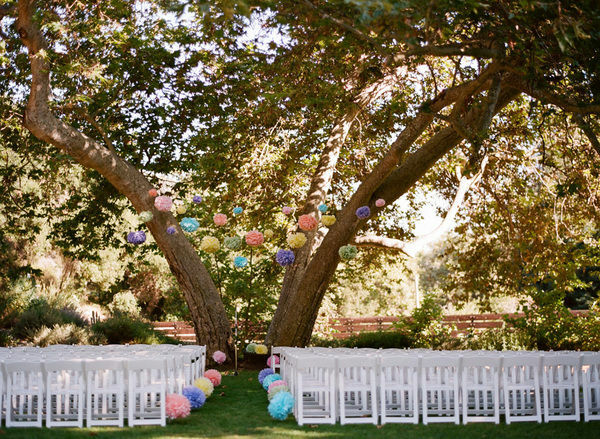 Even a simple banner or garland adds a delicately romantic touch to the space. I just keep going back to the color, though! 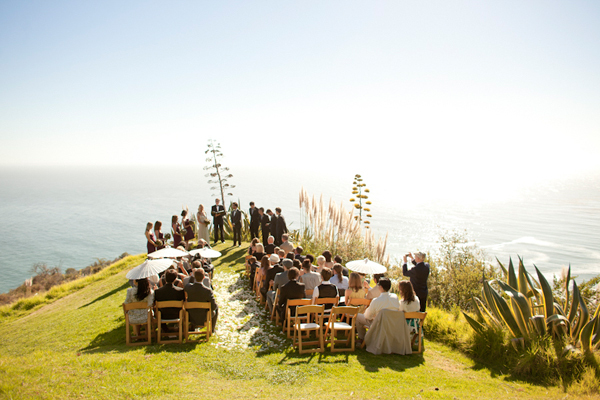 The exception to altar decor is, of course, if your ceremony location is so amazingly beautiful it speaks for itself. 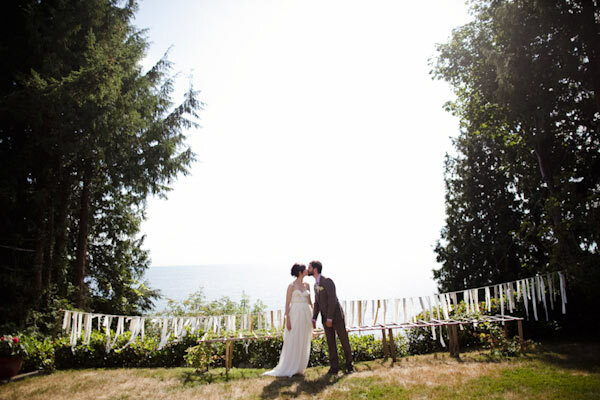 Like this intimate wedding on the bluffs. 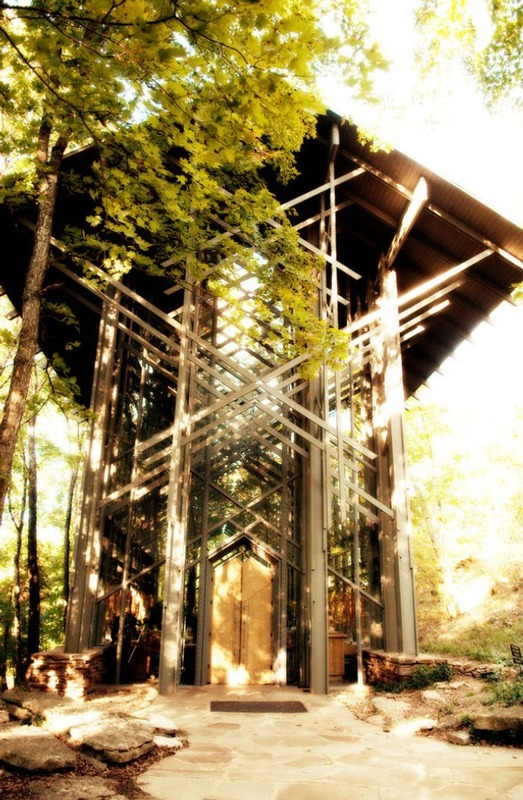 If you can go cliff-diving or step into a waterfall from the altar, you probably don’t need to add anything else except for your gorgeous self. The same goes for locations with epic architecture. Oh who am I kidding, every place could use some bunting! Yes, I may be biased. What are your plans for the altar space? 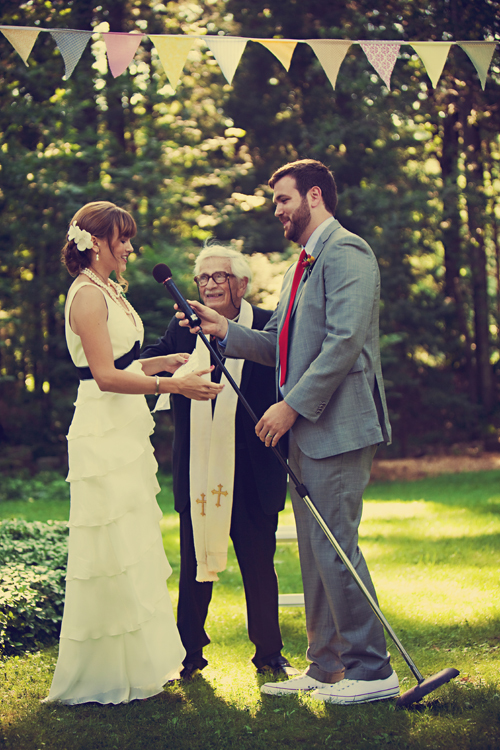 Are you going for simple and delicate or bold and colorful?